Lori Lansens , The Girls. Announcing the Oblong Book Group! Organizational Meeting: Thursday, 10/23 at 7pm in RhinebeckPlease join us for our fist meeting of the Oblong Book Group! Led by Tracy McPeck, our book group will be held on the third Thursday of each month at 7pm in our Rhinebeck store. The first meeting will be to discuss the formation of the book group and choose books for the next few months. Bring suggestions! The first book we will read is The Girls by Lori Lansens. It will be discussed at the second meeting on 11/20. Our book group is open to everyone. All members will receive 25% off all book group selections. For more information, you can email Tracy or give her a call: (845) 876-0500. Lori Lansens's book The Wife's Tale was available from LibraryThing Early Reviewers. 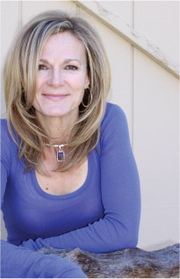 Lori Lansens is currently considered a "single author." If one or more works are by a distinct, homonymous authors, go ahead and split the author. Lori Lansens is composed of 6 names. You can examine and separate out names.